Prime. Below are some changes made in this version. We already posted the Global MIUI 8.2 update for Redmi Note 4 and Mi 5C check them if you need. 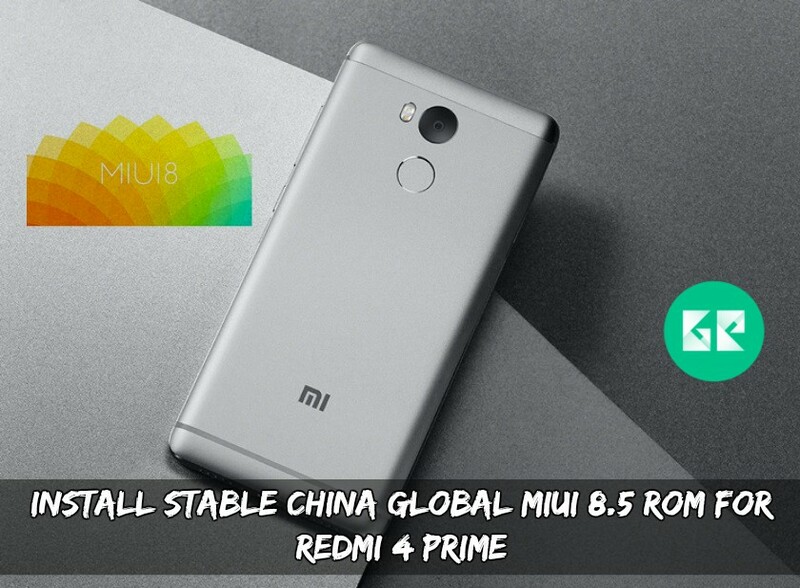 Let’s get some information about, this budget smartphone from Redmi 4 Prime. The Redmi 4 Prime comes with 5.0 inches of the touchscreen. A display having the resolution of 1080*1920 pixels and 428 PPI. Powered by Qualcomm Snapdragon 625 processor 2Ghz. Packed with a beast like RAM of 3GB. The storage is limited to 32GB which can be expanded. When the cameras are concerned, it comes with the 13 megapixels of a rear camera. 5 megapixels of front camera. Powered by 4100mAh of battery capacity. If you are a Xiaomi Redmi 4 Prime user you must install because it’s the official ROM and it is a stable one. MIUI 8.5.1.0 comes with bug fixes so you can expect more improvements. below are the instructions and download links follow them. Charge the device up to 60-70%. Driver signature must be disabled in Windows 8,10. Download required Mi flash tool. Step 1: – Read Preparation. Step 2: – Install Mi Flash Tool. Step-3: – Download Fastboot ROM for your phone model and extract it via 7Zip. Step 4: – Now Turn On your phone into Download Mode by this method. Charge The Device And HOLD Volume Up + Power On Button And Select Downlaod Mode. 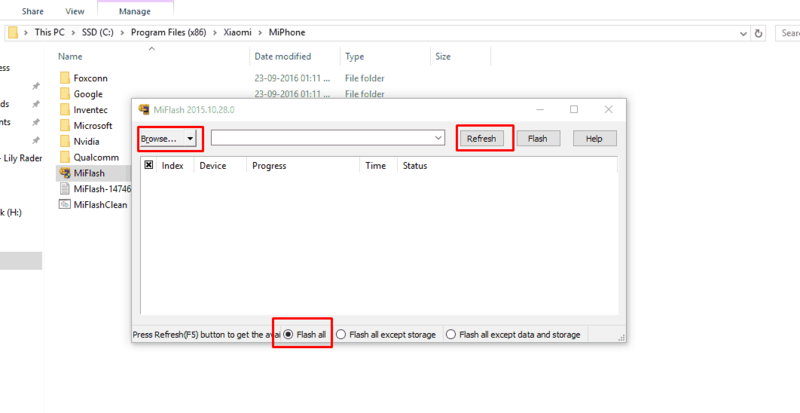 Step 5: – Connect Your Phone To Pc and Run Mi Flash Tool “MiFlash.Exe” From “C:\Program Files (x86)\Xiaomi\MiPhone “. 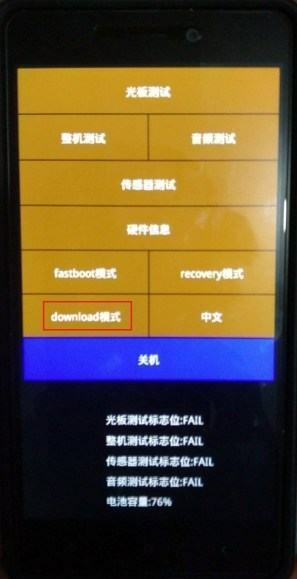 Step-6: – Check For Qualcomm HS-USB QDloader Port If Driver Not Installed Install Manually Browse Driver From “C:\Program Files (x86)\Xiaomi\MiPhone”. Step 7: – Now Click “Browse” In Mi Flash Tool And Browse The Fastboot Rom Folder And Select Flash All. Step 8: – Click On Refresh And Flash Button Wait For The Firmware Update Phone Will Auto Reboot After It Done. Abhishek is a blogger who loves to do blogging. He is interested in tech things. he loves to help people as much he can. He also likes making themes and installing ROMs. He always says STAY AWESOME!